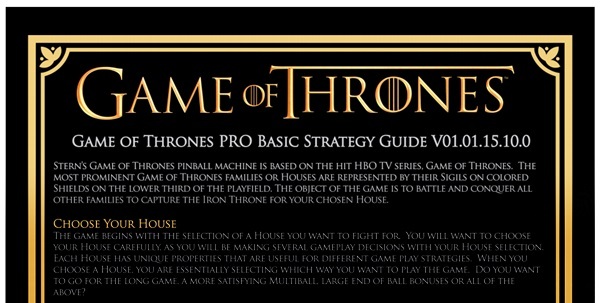 In a change from the norm, STERN Pinball has published a rule sheet for Game of Thrones pinball, along with basic strategy examples. 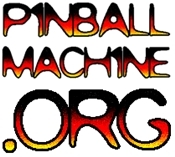 I think this is a good move on their part. It would have only been a matter of weeks before the fan-made strategy guides and videos came out, and yet most casual players might never see those. This creates a better opportunity for players of all skill levels to understand there’s a lot more going on than just flipping the flippers. And it will come in handy next Sunday at the Game of Thrones Launch Party.